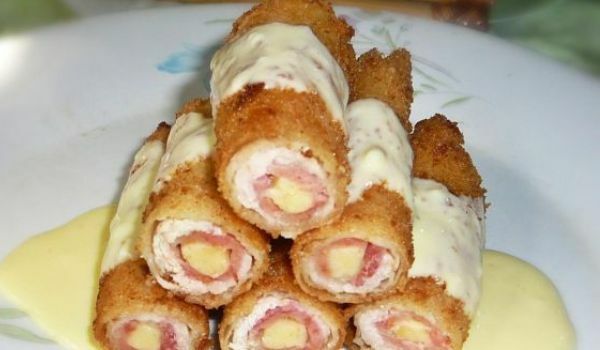 Chicken Cheese Rolls is a very popular recipe. Learn how to make/prepare Chicken Cheese Rolls by following this easy recipe. Pound the chicken breasts to ½-inch thickness. Spread 3 tbsp of cheese and ½ tsp of butter over each breast. Fold the ends to shape into a roll. Bake at 400 degrees F for 40 minutes, until chicken turns tender.